Malcolm helps people plan for a time when they can no longer make decisions for themselves. 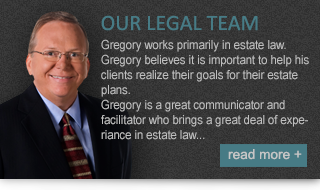 He also helps people make effective plans to make sure their property goes where they want it to after death. Malcolm works with accountants and financial planners, to help people protect their wealth and manage risk. 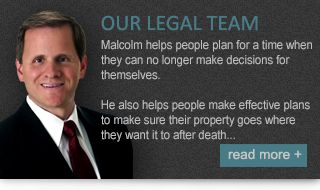 Malcolm helps people who have complicated family situations or complicated assets. These are problems every family faces and they are often difficult to understand and to plan for. The old saying that “plans don’t fail, people fail to plan” applies to business and family succession, death and mental incapacity. Malcolm has been helping families solve these problems for more than 35 years.